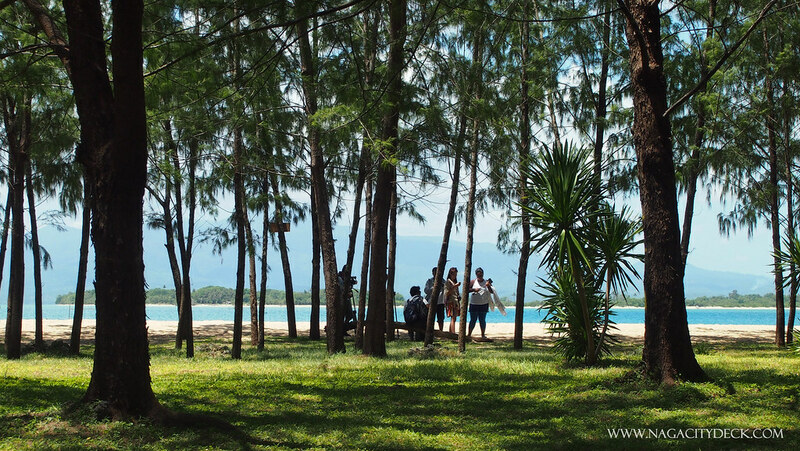 Mercedes, Camarines Norte - Known as "The Belle of the Pacific", is a 2nd class municipality that lies along the eastern part of the province with its northern part facing the Pacific Ocean and located at the mouth of San Miguel Bay. Though this lady's name may sound Hispanic, she has a true Filipina feature. Mercedes has a shy but beautiful physique both in form and in substance. Talk about Boracay as the party person or perhaps Caramoan as the ultimate survivor castaway or El Nido and Coron in Palawan as the super model of marine life, Mercedes on the other hand has her own charm, she's quiet and simple but she ignites the essence of simple living. Facebook Page: Love ko Si Mercedes. *Rates are subject to the discretion of Brgy. Caringo. *Rates are subject to the discretion of the Caringo Is. management. *Rates are subject to the discretion of the Apuao Pequeña Is. management. 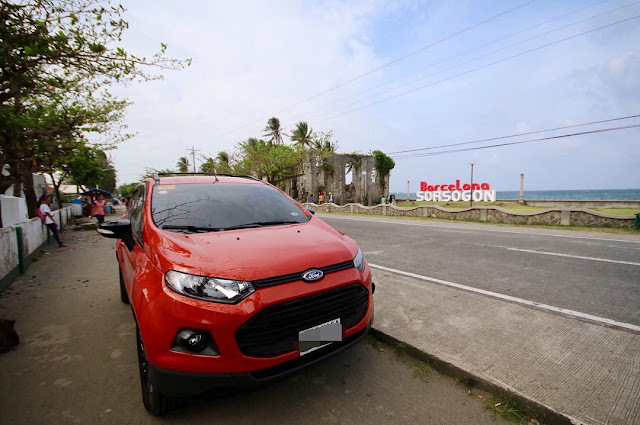 Last May of 2014 as part of our Date in Daet 2014, we had an island getaway in two of the islands of Mercedes which is Apuao Grande and Apuao Pequeña. It was a one day activity but Mercedes left me hoping to visit the remaining islands in the near future. 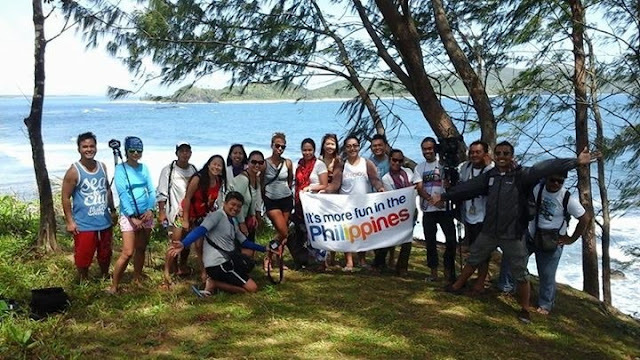 Last April 10 - 12, 2015, an opportunity came, the Mercedes' Municipal Tourism Development Operation Center organized a familiarization tour for travel media with Manila and Bicol-based bloggers. We had a full packed schedule for the 3 days and 2 nights stay in Mercedes and each day was filled with an activity that allowed us to get to know the Belle of the Pacific. But first, let me thank my bestfriend Jerry for letting me borrow his camera, if it weren't for him, I would not have captured Mercedes' Best. Thanks a lot Jerry! 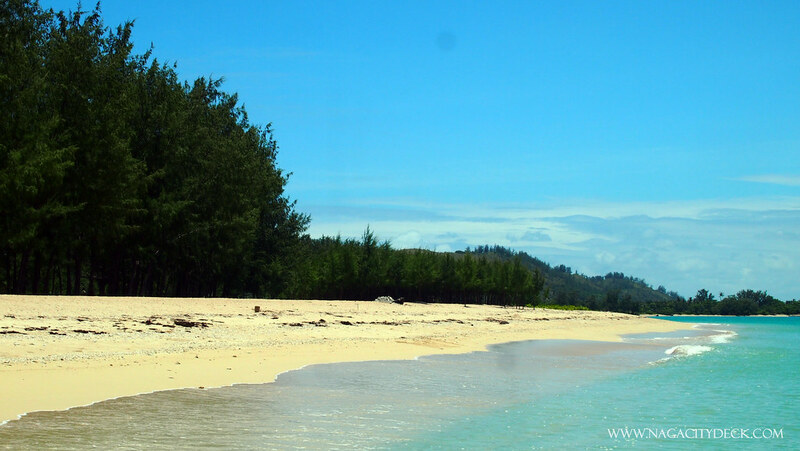 Here are the places you can visit and activities that you can do in Mercedes, Camarines Norte. But first, how do you get there? From Manila travel by plane to Naga Airport in Pili, Camarines Sur for 45 minutes. Then, from the airport, take a jeepney ride or drive to Naga City for 20 minutes and another 2 hour drive or van (FilCab Van Rate P190). ride from Naga City to Daet. Then take another jeep from Daet to Mercedes port for P10. 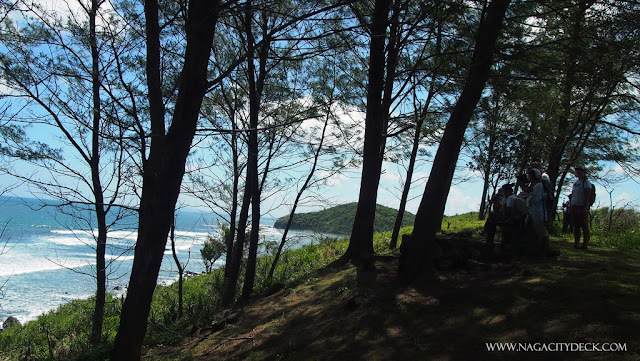 Take the bus from Manila through the South Maharlika Highway to Daet. Bus companies with daily trips to Daet are Superlines, DLTB or Amihan with terminals in Pasay and Cubao, Quezon City. From Daet, you may take a jeepney or tricycle ride to Mercedes port. To have a hassle-free visit and do at least half of our Top 10 activities in Mercedes contact the Tourism Office instead. Email: discovermercedes@yahoo.com or call them at (054) 444-1261. Message them at their Facebook Page: Love ko Si Mercedes. Island Overnight Stay: Apuao Grande Island has amenities such as beach houses where you can rent for a night or even for a month. 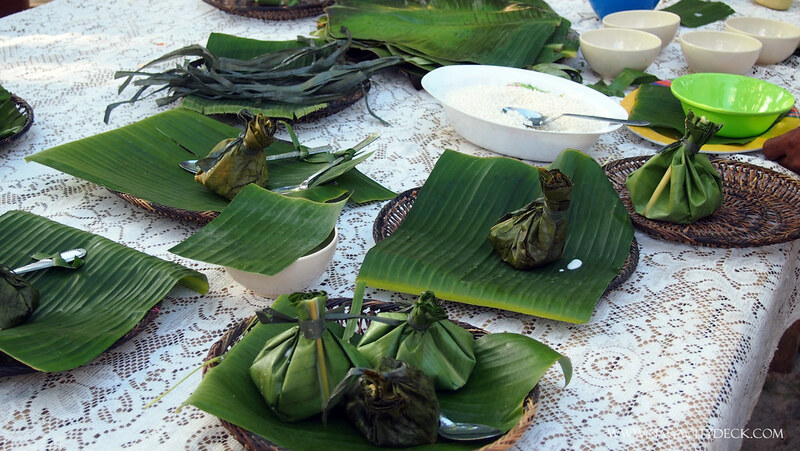 You can also ask for meal packages from the locals of the islands. 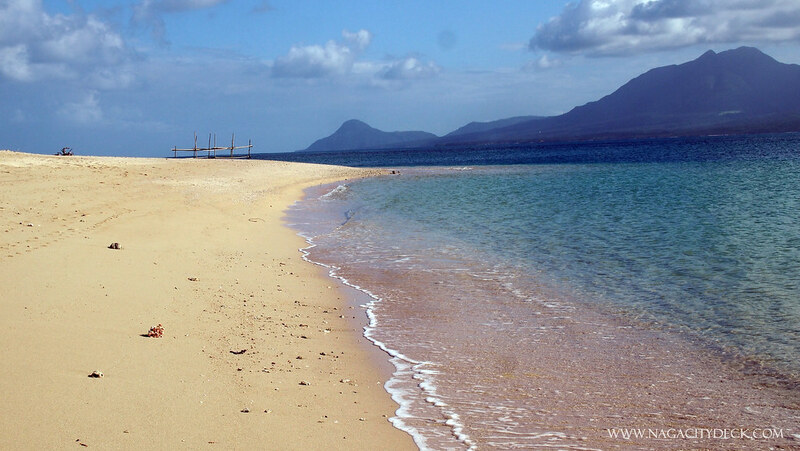 Apuao Islands both Grande & Pequeña and Caringo Island are perfect for camping. 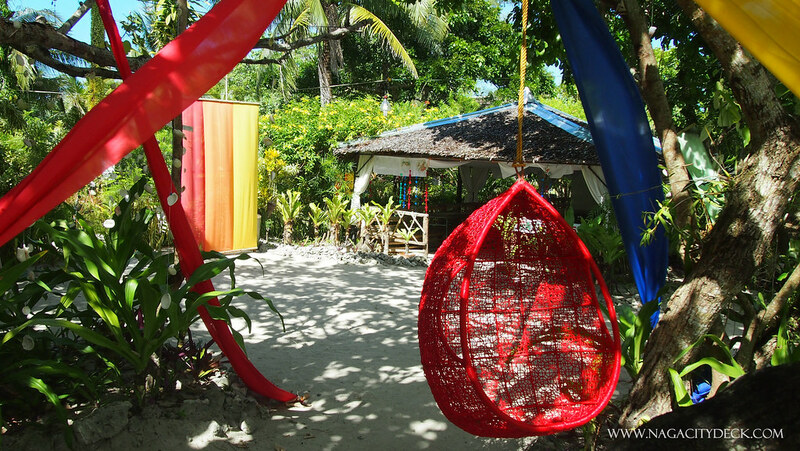 Caringo Island's locals also offers overnight stay packages for groups inclusive of meals and tents. 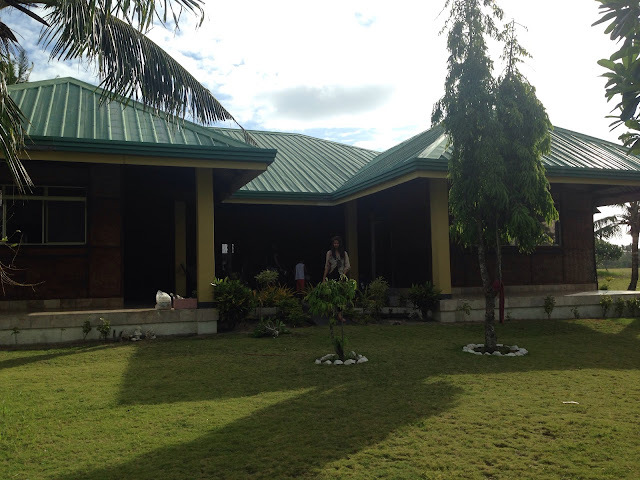 Inland Overnight Stay: There are a lot of home-stays in Brgy. 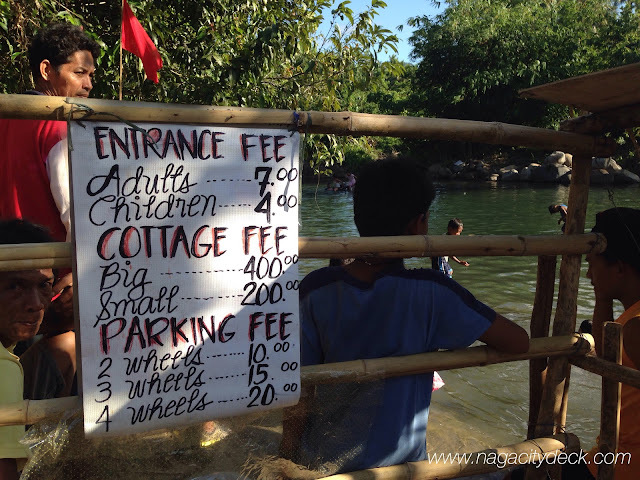 Cayucyucan for as low as P250 to P300 per person. You can also have the option to stay in resorts along the shoreline of Cayucyucan such as Palms Farm Resort. Modern homestay house with a lawn which is a few meters from the beach of Cayucyucan. All of these activities are impossible to achieve in one day. But personally, my highly recommended itinerary enough for a day would be visiting Apuao Grande and Apuao Pequeña. The sequence of the list of activities are based on our daily itinerary during the famtour. 1. Cruise aboard Doña Mercedes II, Floating Restaurant @ Catandunganon River. 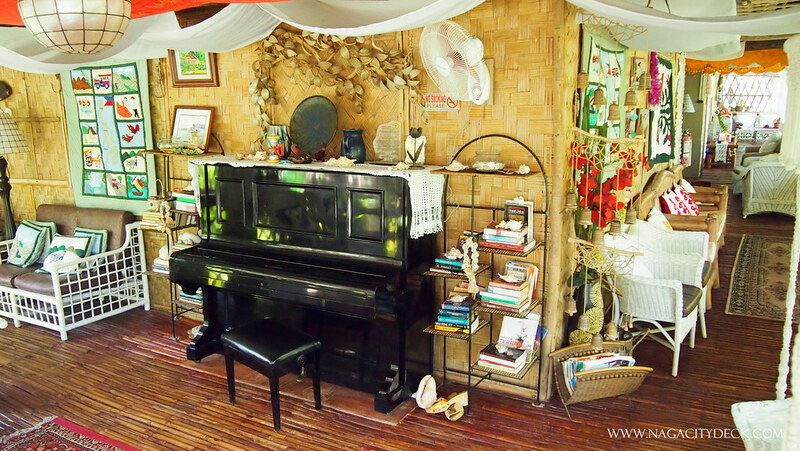 This is a Bicol's first and our own version of Loboc River Floating Restaurant in Bohol. 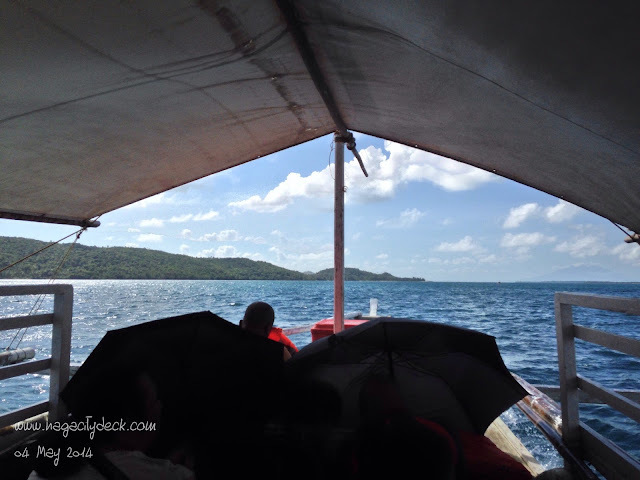 Cruise along Catandunganon River aboard the Doña Mercedes II. Feast on delectable dishes and enjoy the green mangroves and clean water along the way. 2. Island Hopping. 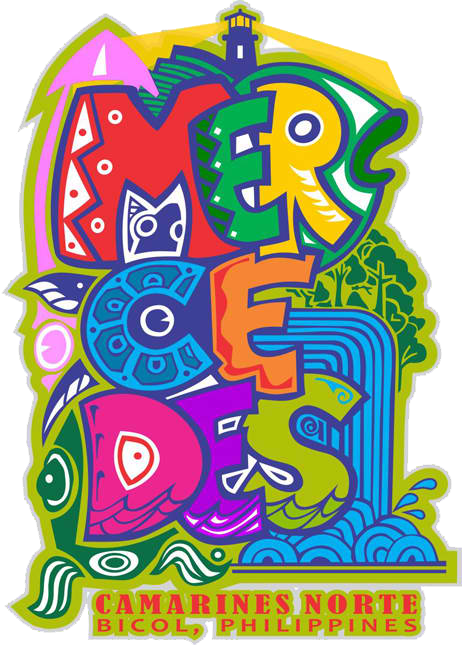 Mercedes is known for her 7 islands which is home to five (5) fish sanctuaries. From the seven islands, we only got to visit four of them. We first went to Caringo Island which is considered to be the farthest island from Mercedes port (1 hour boat ride). From Brgy. Cayucyucan, it's only around 20 minutes boat ride. Canimog Island is the biggest among the 7 islands of Mercedes. 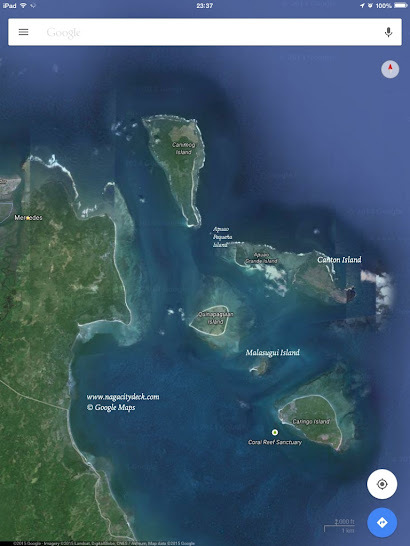 Dubbed as the "Crocodile Island" because of its crocodile shape, it is famous for its wild life. 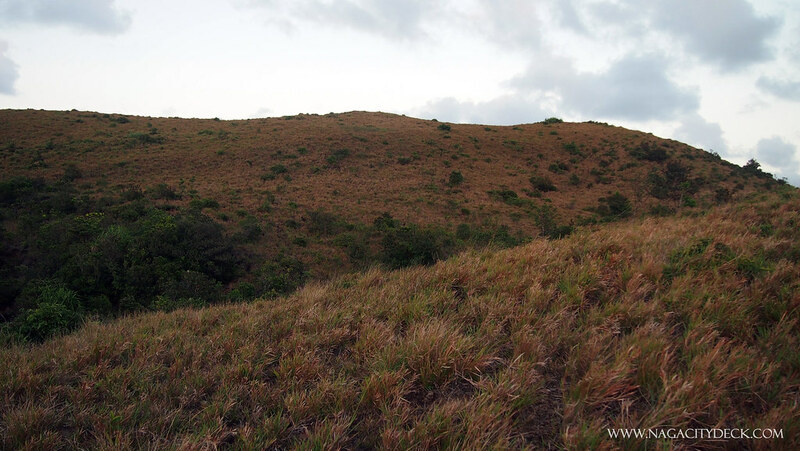 This is the former island of the fruit bats, up until they were disturbed then they transferred to Apuao Pequeña. 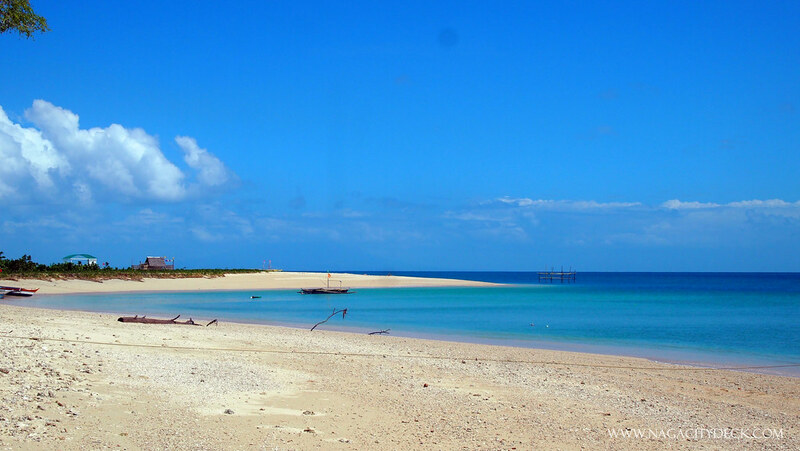 The natural environment of Canimog Island is suitable for trekking, hiking, scuba diving and game fishing. There is a sand-pebble and rock beach of the stair way leading to the Canimog Lighthouse. 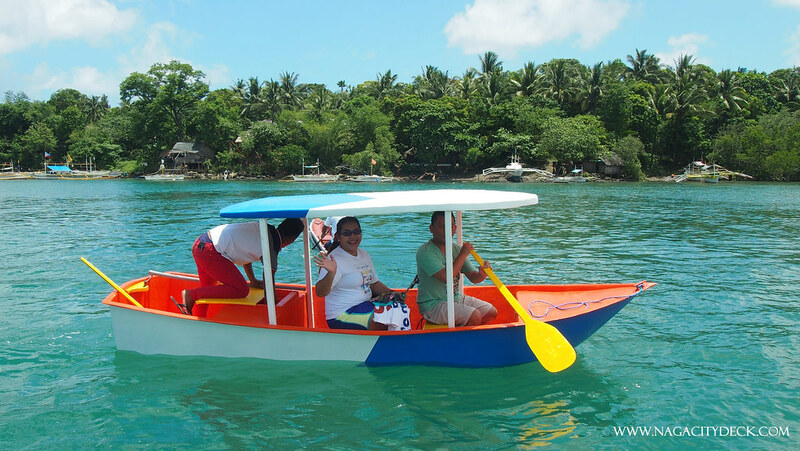 Boat rental may cost from Php 2,000-P3,500/day depending on the size of the boat, number of passengers and the islands to be visited. 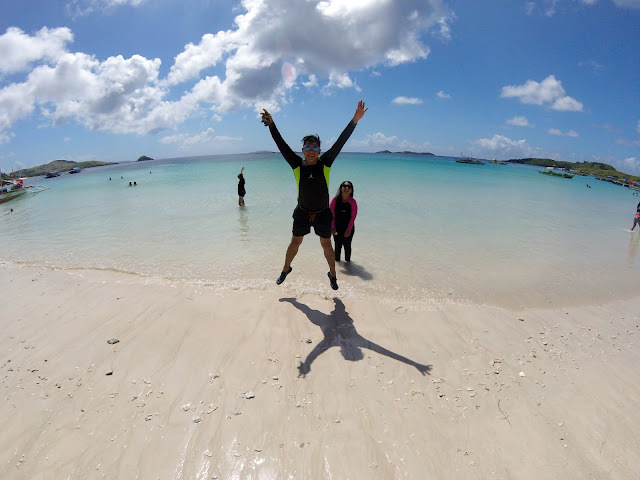 For a worry-free island hopping in Mercedes, there's no other way but to contact the tourism office of Mercedes, email them discovermercedes@yahoo.com or call them at (054) 444-1261. You can also get in touch with their Facebook Page: Love ko Si Mercedes. At the tip of the island lies a Falconette Point (Falcon's Nest), where one can see the sleeping giant and breath taking view of San Miguel Bay. 3. Snorkeling. 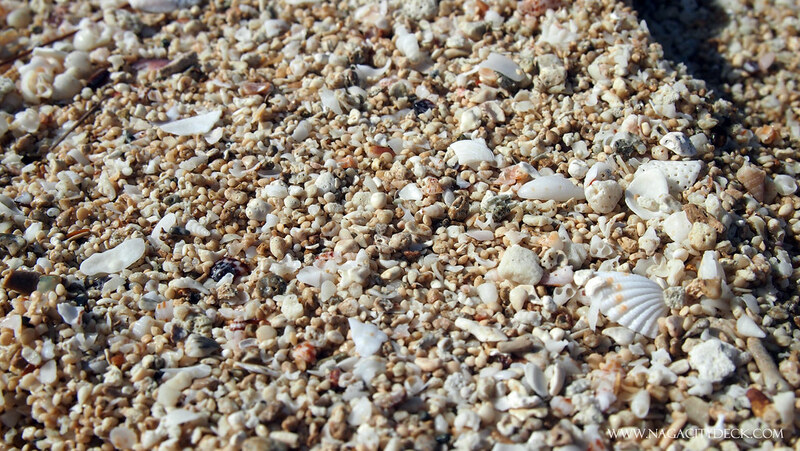 Caringo Island is surrounded by a white sandy shore with abundant shells. 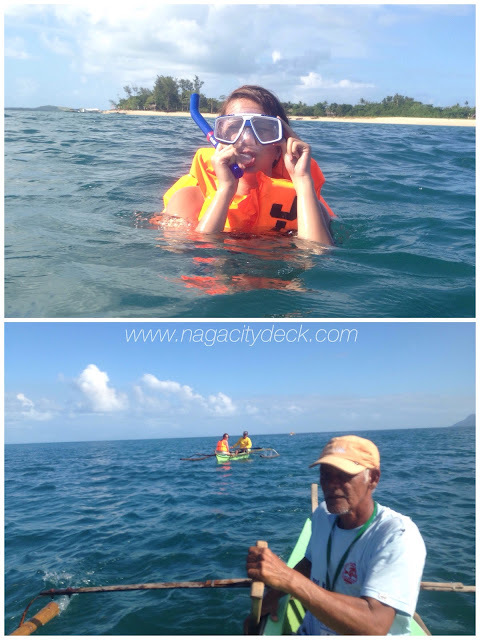 A fish sanctuary is situated near Caringo Island where you can rent a boat (one person per boat and the bangkero) and explore it either by snorkeling or diving. 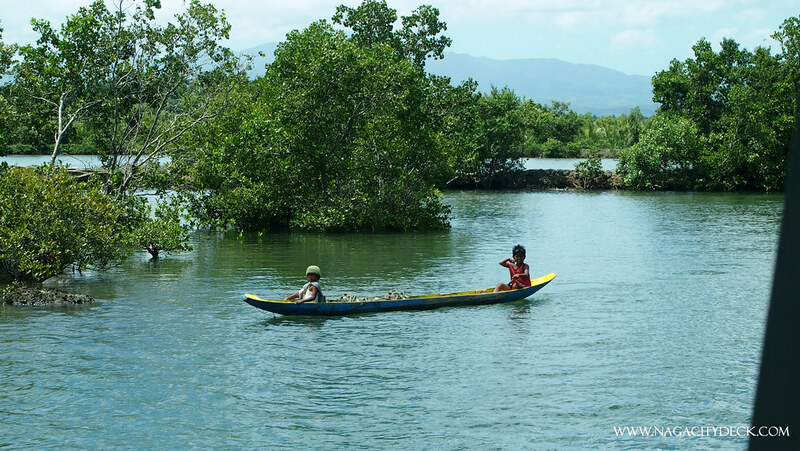 CLICK HERE for more photos of Caringo Island. 4. Eat the seafoods finest of Mercedes. Our lunch on our first day of the FamTour. Seafood at its finest! When I was a kid, little did I know that this type of shell is edible. 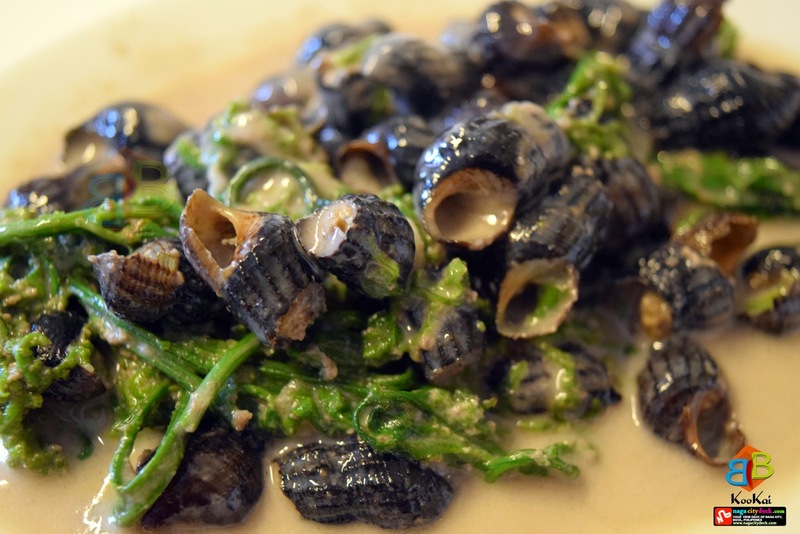 Served with gata and kalabasa, this shell called "Tuhad-Tuhad" in Bicol (Tuwad-Tuwad in Tagalog) is similar to how the freshwater shell called Tabagwang is being eaten. "Higupin" o "supsupin" hanggang sa lumabas ang laman sa loob ng shell. 5. 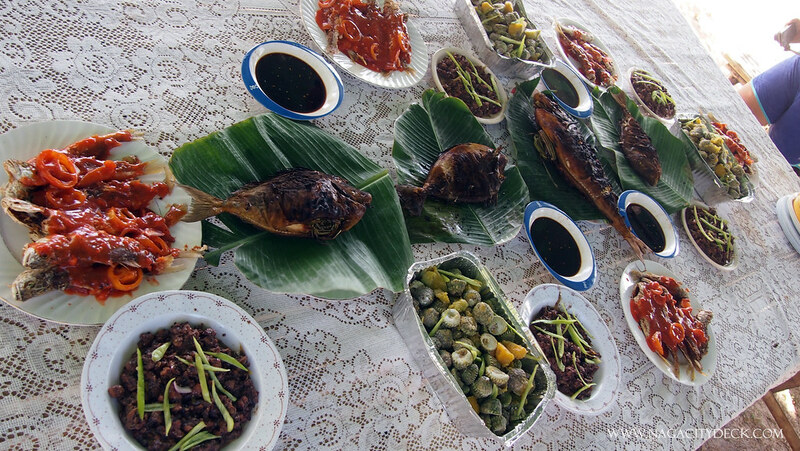 Must-eats: Binut-ong and Seaweed Gulaman in Caringo Island. We had an exclusive Binut-ong making with the community of Caringo, this is one of the all time favorite snack of every Bicolano. Just imagine eating a newly cooked Binut-ong with a cup of coffee on the side. Ahhhh heaven! 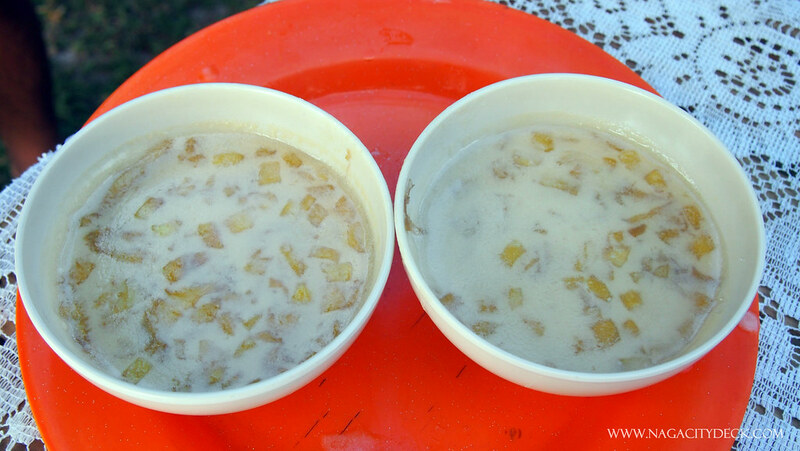 In other parts of Bicol, Binut-ong is pronounced as "Binu-tong". 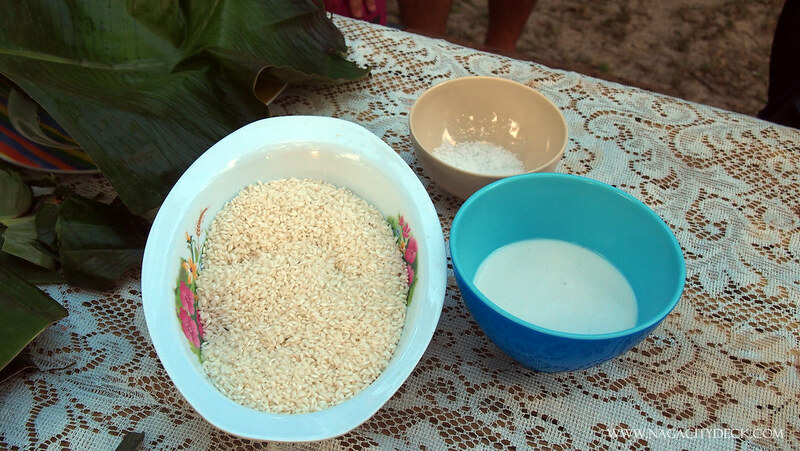 Making Binut-ong is quite simple, but good estimating skills on how little or many should the sugar, salt and coconut milk is needed. The most challenging part is how to perfectly tie the Binut-Ong, you would not want your coconut milk to spill and do it all over again. There's a secret to a no-hole Binut-ong and securing all the goodness in it. I just wish that next time they could use the "natural na pantali" the biodegradable one instead and not the plastic straw. Minimizing the use of plastic on any island is needed in order to lessen the problem in waste disposal. SEAWEED GULAMAN, ONLY IN CARINGO. 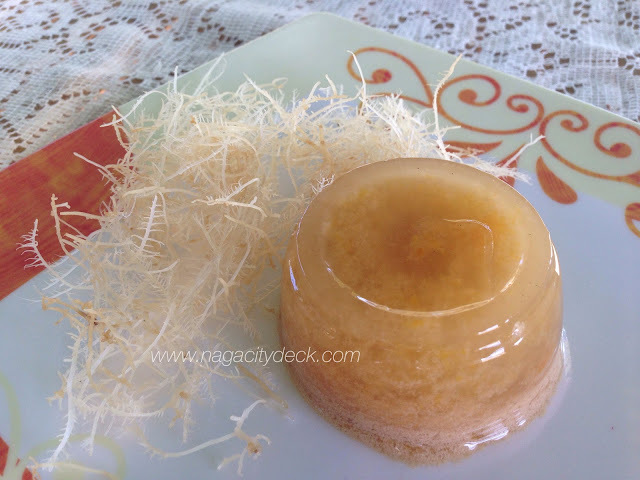 We also had the opportunity to eat one of the islands famous dessert, a seaweed gulaman with mango bits. 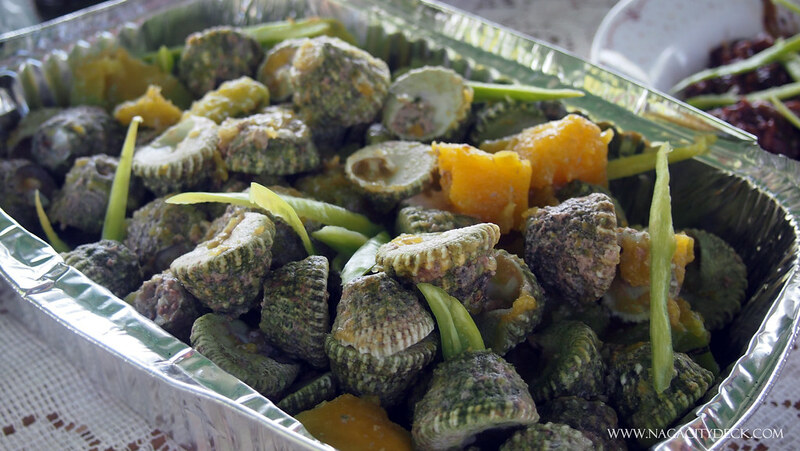 There's no way for you to try this delicacy in any other town of Camarines Norte, only in Caringo Island my dear friends. The seaweed gulaman ang binutong can be a source of income to the locals of Caringo Island, purchasing from them will be a big help. We were unable to visit the oldest house which is in Caringo. It is known as "Dakulang Harong" (Big House) owned by the heirs of Fortunato and Eufemia Ibasco. 6. Trek to Canton Island plus sunset watching. It's my first time to watch a sun set atop a hill and an island. 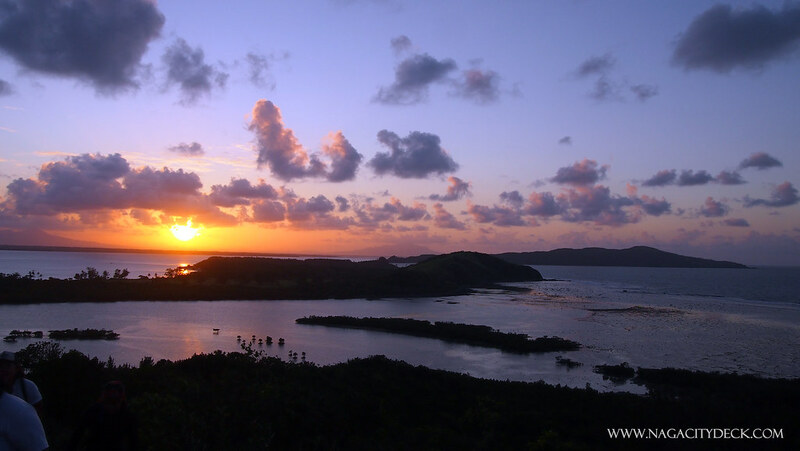 It's a good thing we came just about on time for sunset watching on Canton Island, which is beside Apuao Grande Island. Canton island has black rocks on the shore and has a dual shade of sand from gray to the yellow/brown one. 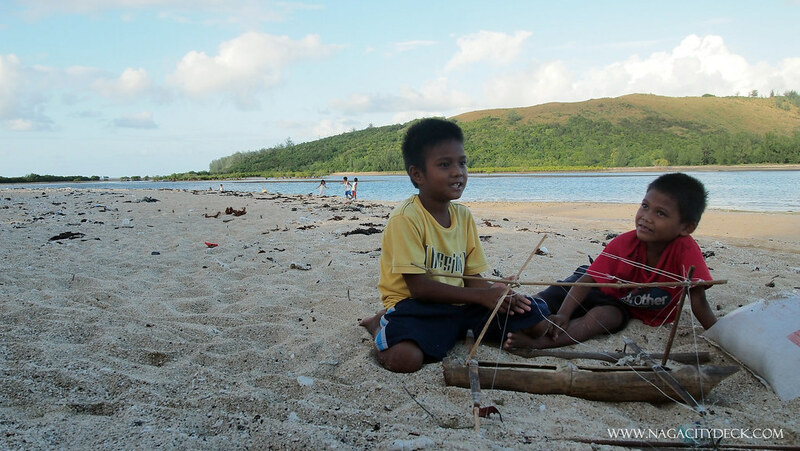 Kids building a boat made out of bamboo with Canton Island as the background. 7. Kayaking and Hobie Cat Sailing in Apuao Grande Island. Apuao Grande is home to a luxurious resort back in the 80s. At present, all you can see are the ruins of the resort. Back then it also has a runway for cesna type of planes plus a 8-hole golf course. Imagine if it actually exists today. The resort was formerly owned by Australians. Beach houses in Apuao Grande exude with the simple architecture and a western ambiance. Some of the houses are solar powered while others use generators like the one where we stayed in for the night. Power is limited during night time, you can recharge your gadgets before the generator is turned off at around 11pm. You can also pitch in your tent near the shore, star gaze and let the gentle waves lullaby you to sleep. This is the beach house where we stayed for the night. It has a dining area, 3 rooms with 2/3 beds and comfort rooms. What a small world, the owner of this house is actually our neighbor. How lucky of him to have a property in this island. 8. Bat watching and have a moment at the Secret Surfing Spot after a light and shady trek in Apuao Pequeña. These two perhaps are my favorite island activities in Mercedes. Bat watching is a unique experience and this bat sanctuary should hopefully be a fully protected area. Contrary to the usual bat habit of sleeping during the day, you can actually hear and see them flying around even if it's daytime. When undisturbed they sleep and hang themselves upside down. When the bats spread their wings, it's as if your imagination is also running wild that it can be count Dracula or in our case a "manananggal" haha. 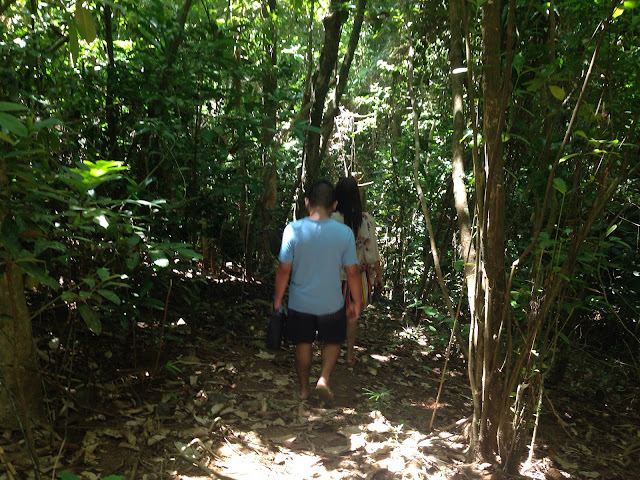 Bat watching is perfectly safe and trekking to the back portion of Apuao Pequeña is light and easy. Have a moment in this spot facing the Pacific Ocean. Apuao Grande and Apuao Pequeña were said to be separate islands but were connected through a sandbar because of a typhoon back then. 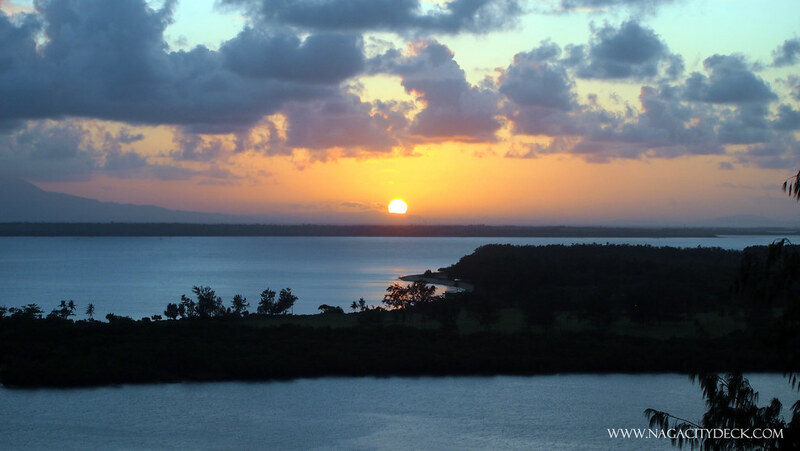 From Apuao Grande you can actually walk to Apuao Pequeña to watch the fruit bats. 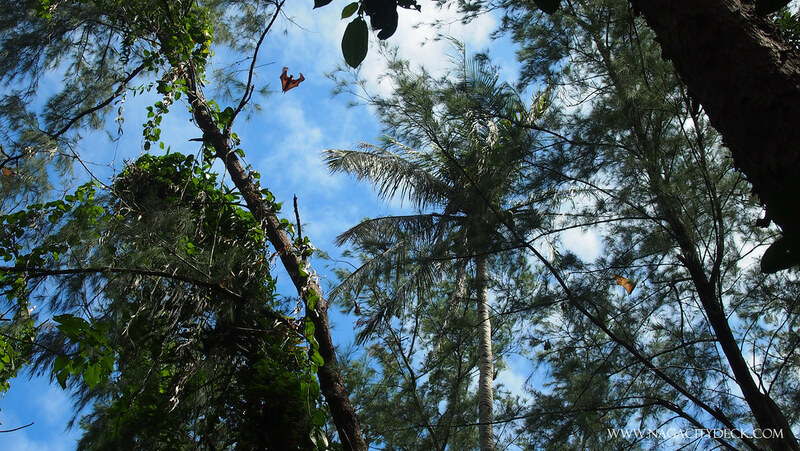 The Agoho trees in Apuao Islands are very abundant giving you a cooling effect plus a very nice backdraft for your photos. Oh poor hermit! 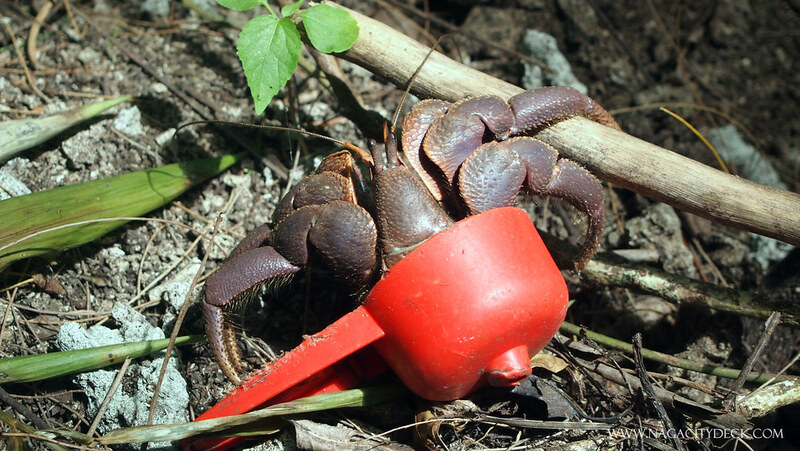 We saw this huge, confused and hallucinating crab who made this kitchen ware as his home. He is a reminder for us that we should never leave any kind of trash especially in sanctuaries like this in Apuao Pequeña. This is the shady trail going to the view deck of the Pacific Ocean. When it's low tide you can actually start the trek using the shoreline like what we did last year. The view of the Secret Surfing Spot facing the Pacific Ocean. All you can hear are the waves rushing to the shore as the wind touches your face. I call this place as a mixture of Baguio and Batanes feels because of the trees and the overlooking view of the Pacific. 9. Have a swim on the shallow shores of Palms Farm Beach Resort in Brgy. Cayucyucan and Lounge in their Casa de Nipa. 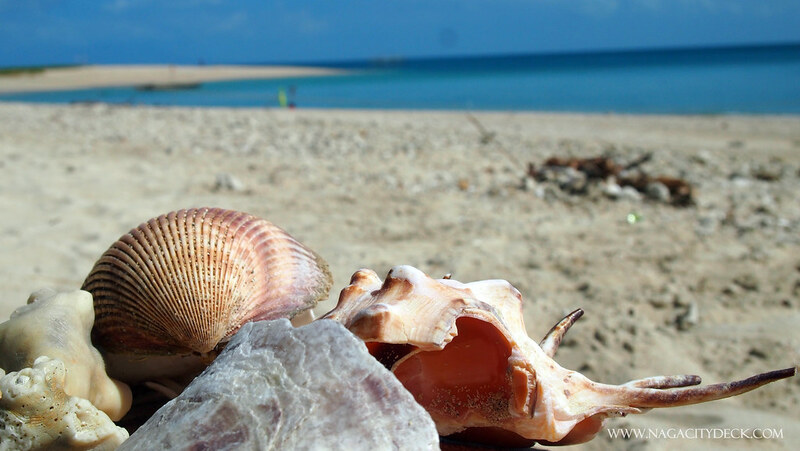 The beach is very safe for kids because of the long and shallow beach front with gentle waves. 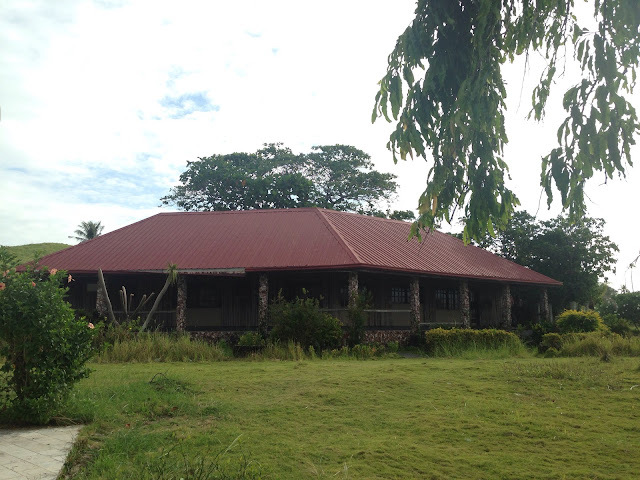 An overnight stay in their family rooms inside the Casa de Nipa is highly recommended. I actually enjoyed more staying in the Nipa Hut. Spell total relaxation. At night there are "nok-noks" or otherwise called as "nik-nik" in Filipino, these are small insects flying in groups which can be a little annoying leaving you to scratch your skin. Don't you worry, the resort has it covered, they provide insect repellents for free for their guests. How very kind of them. The plant where they named the resort after. Inside Casa de Nipa, where it feels very fresh. A mix of the native fixtures and modern design is a plus point for this resort. There are "no sleeping" signs within the salas but who can resist this kind of amenity where it will naturally put you to sleep. Palms Farm Beach Resort have numerous modernized "duyans" along the beach front. Our cozy room for the night, a Family Room with 3 beds, maximum of 6 persons. 10. Trek to Colasi Falls. Perhaps this has been the most challenging trek that I did in any of my adventures. Brgy. 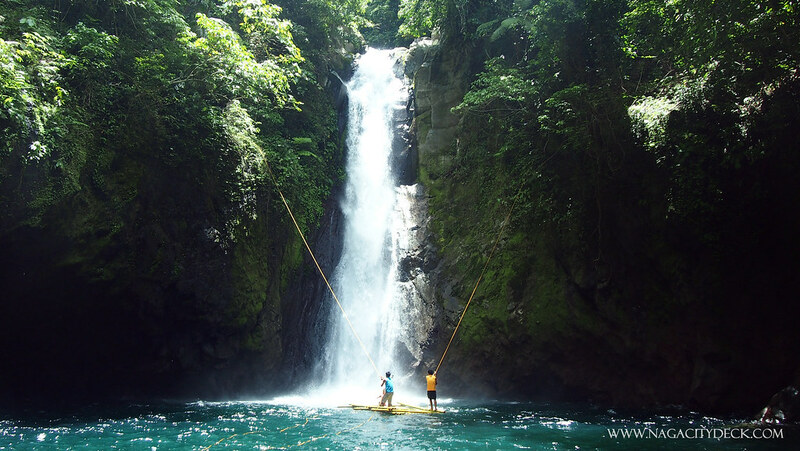 Colasi Falls is part of the inland Mercedes near the lush green Mt. Man Asupre. From Daet, Brgy. Colasi is around 1 hour travel by road with a seaside view. From Brgy. Cayucyucan, going to Brgy. Colasi town proper starts with a fairly paved road to a rough and dirt road until the foot of the mountain. Travel time from Cayucyucan is around 40 minutes. Endurance and patience is the key to this adventure. 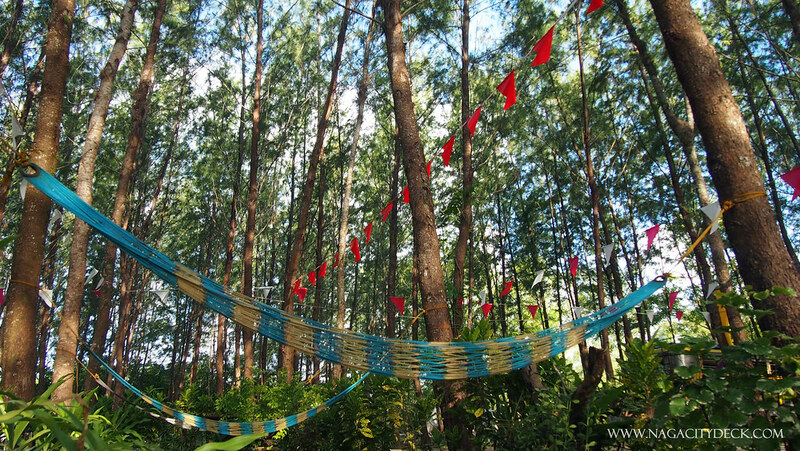 Trekking Time: 1 hour for experienced trekkers and an average of 1 and a half to 2 hours for first timers. It's best to trek in the morning so that you can go back early and with enough daylight to guide you along the way. Trail condition: The trek starts fairly easy, as you go through the deep part of the forest are ascending and descending trails. 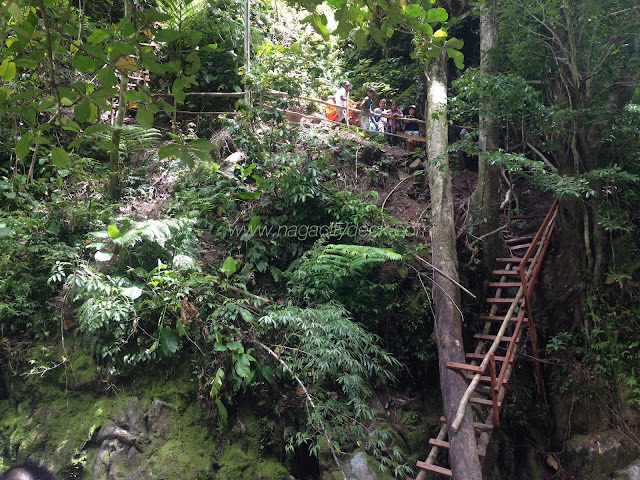 Makeshift ladders and stairs were constructed by the local tourism office of Brgy. Colasi to make the trek a bit easier than it used to be. CLICK HERE for detailed photos of the trek going to Colasi Falls. 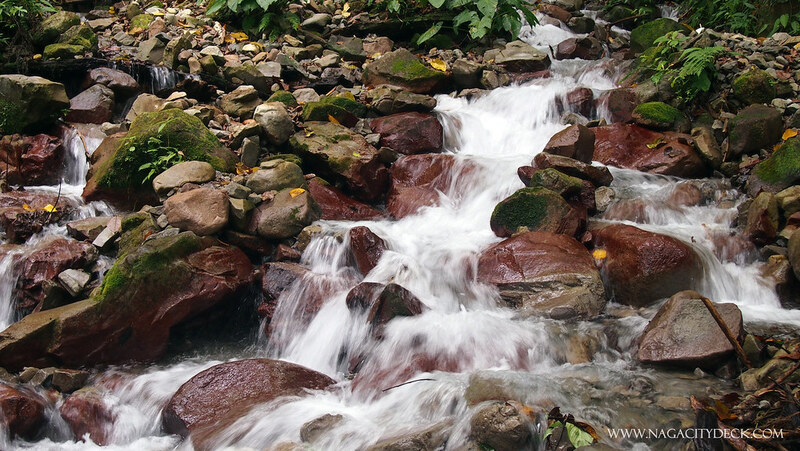 You'll pass by three flowing streams along the trail. First, on the slopes of the mountain are makeshift ladders with an almost 90 degree angle. After that, crossing a stream of water from the falls with huge rocks and a bit of strong water current is the next. After the ladder and the huge rocks, a few meter walk with some parts knee-deep to waist-deep water is up next. This is why you need a dry bag and pouch. Slippery stones ahead. From here, you can already take a peek of the falls. Depth of water is still unknown but the falls is around 70 ft high. Rushing water gives a windy effect around the cascading falls. After documenting everything, I did not let the day pass without swimming in the cold waters of Colasi Falls. To be safe, use the life jacket like I did. You can also use the "balsa" and pull yourself near the falls. COLASI FALLS ESSENTIALS: If you're going to Colasi Falls, these will be my suggested essentials. Bottled water for hydration, be eco-friendly, it will better if you have your own bottle. A dry bag (yellow outdoor gear bag) for your camera and other gadgets, don't forget to put an additional cushion to protect your gears. I bought the dry bag at Ace Hardware for only P199, SM Store also sells them, but I like the material better of the ones in Ace Hardware. Dry pouch (Available in Kadlagan Outdoor Shop at SM City Naga or any other sports shop) for your smartphone. Trekking sandals or shoes would be nice but a good pair of slippers though will do, as long as you have a good grip and sense of balance. 11. Swim at the Hinipaan River, a community pool maintained by Brgy. Hinipaan which is beside Brgy. Colasi. This is a very good option especially for the locals if they want to cool down and have a break from their routines. They have the lowest entrance rate ever. 12. Mangrove Planting in Canton Island. It's actually nice if we travelers will be able to leave something behind to every place that we can visit. 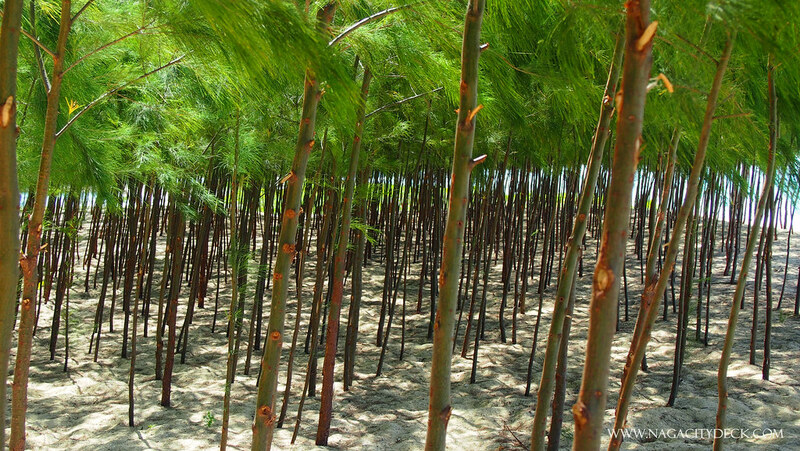 Like planting one mangrove propagule to storm surge prone areas like in Canton and Apuao Islands. 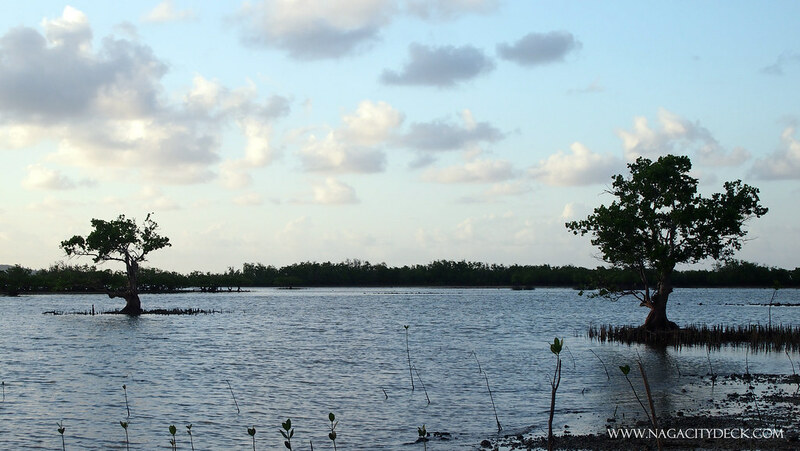 Imagine every traveler who gets to visit in one place will be given the chance to plant a mangrove or any other type of activity that can help protect the environment. 13. Hike to Canimog Lighthouse. We were unable to visit the biggest island, but this for sure is a must visit in Canimog Island. 14. 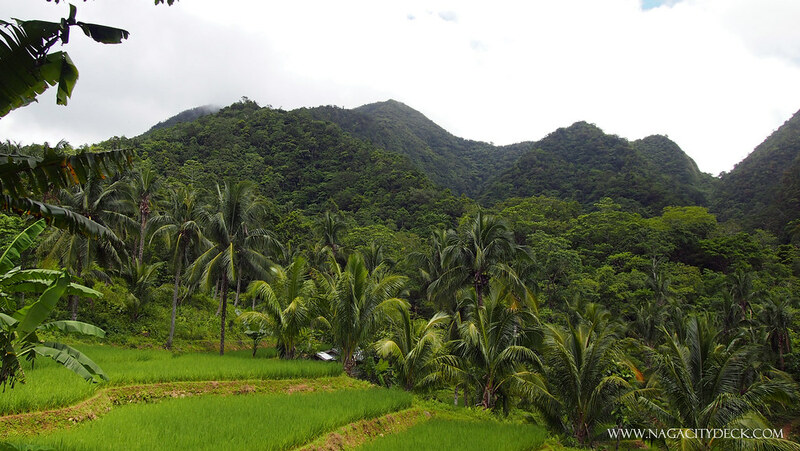 Visit an Organic Farm in Brgy. Cayucyucan. 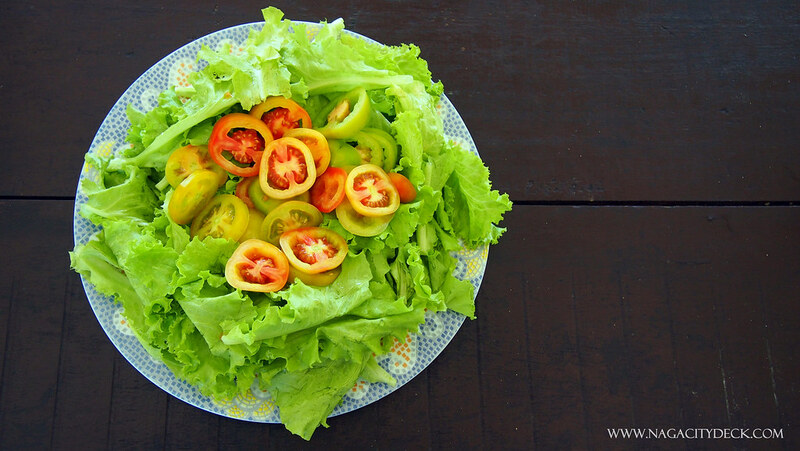 An organic farm is situated beside Palms Farm Beach Resort. The farm may be near the beach where it's hot and humid, but the owner who is an Itlaian and the caretakers were able to maintain and grow their organic farm very well. 15. Firefly Watching in Brgy. Cayucyucan. A kind of activity where we had no choice but to watch and enjoy the fireflies in the dark. We didn't have any special camera to capture the moment. Nevertheless, it's an enriching experience, that sometimes we all have to leave things behind and just enjoy what we see. 16. Tinapahan Tour. Mercedes is known for their Tinapa. Purchasing Tinapa as your pasalubong is always for the win. 17. 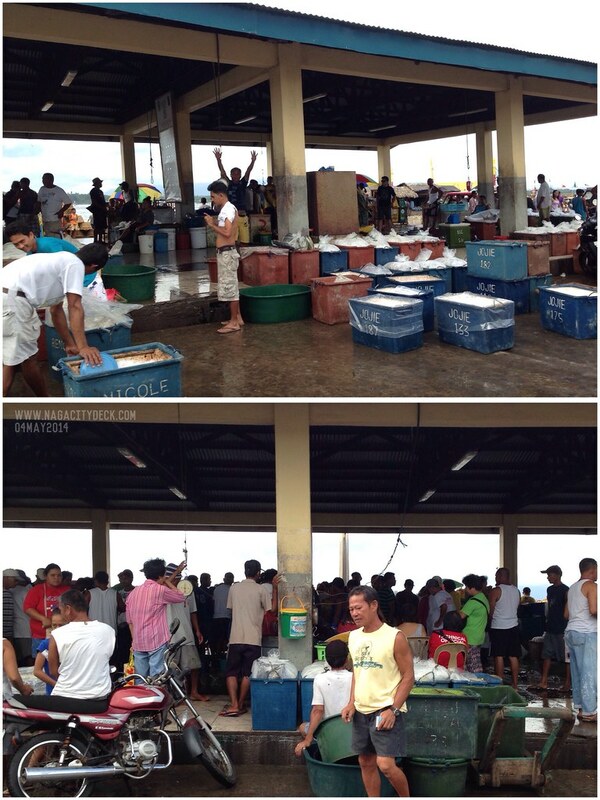 Witness the traditional "Bulongan" at the Mercedes Fish Port. Give it a try, whisper your prices and buy your one barrel of fish. Activities in Mercedes is not limited to the top 10 that I have shared. Co-existing with the locals is what makes the whole trip even more worthwhile. Going back to the basics ignites the essence of simplicity in living. 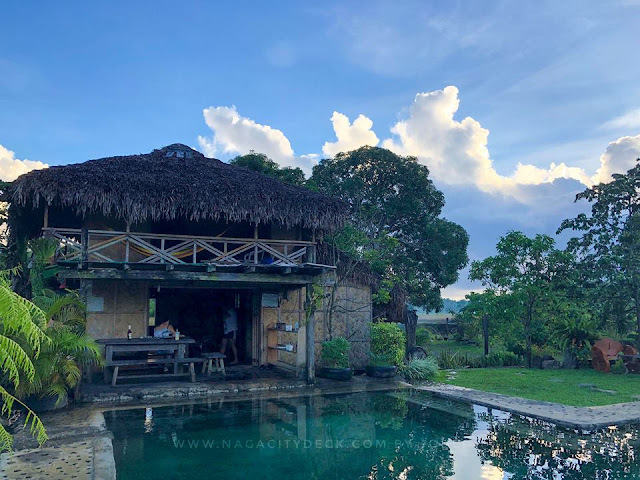 With the assistance of the tourism office of Mercedes who are very accommodating to travelers both local and foreign, anyone who visits the place will surely have a memorable stay. The Belle of the Pacific's simplicity does not need the limelight of Boracay or the finest sands of Calaguas for she has the quality of simplicity and quietness that anyone would want away from the city life, Mercedes ignites the essence of simple living thus nurturing the soul of those who visit her.